The so-called Monti group, named after its chairman, former Italian Prime Minister Mario Monti, is trying to put together proposals how to make the EU budget more transparent and more effective, without increasing its size. 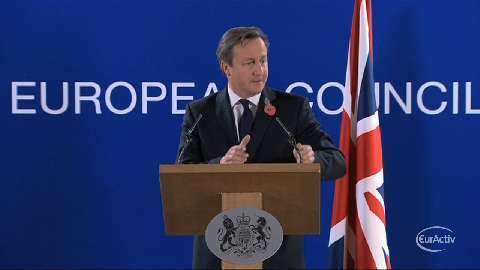 EU Budget Commissioner Jacek Dominik warned on Monday that British Prime Minister David Cameron will “open Pandora's box” if he doesn't make an extra payment to the EU budget by 1 December. On his arrival at the December 2014 EU Summit, Finnish Prime Minister Alexander Stubb said that “the UK, like Finland, is a rich country, the UK, unlike Finland, has a rebate regardless of its economic power.” “I think it is very important we do not start treating the EU as some kind of a simplified accounting exercise,” Stubb added. 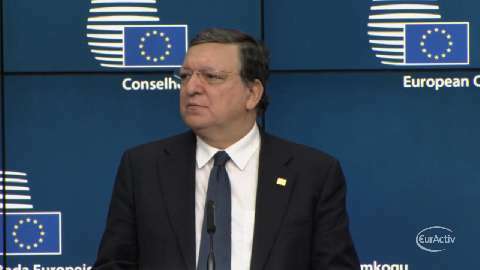 Speaking in a press conference after the European Council Summit early on Friday, European Commission President Jose Manuel Barroso said that “he was not informed” about the EU's request for an additional 2.1 billion contribution from the UK towards the EU budget. Money. Let’s make it count. Ever wonder where the EU budget goes? In these challenging times, it's all about smart spending. A new and updated version of the European exchange programme will be accessible to more people and received a 40% budget. 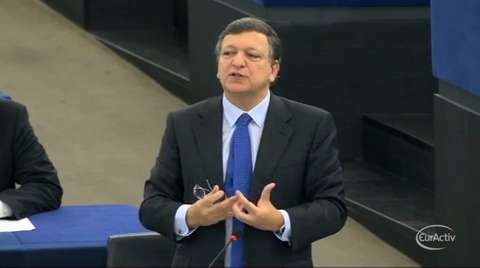 Only hours before EU leaders are due to meet in Brussels, President of the European Commission Jose Manuel Barroso called on MEPs and European governments to reach a deal on the 2013 EU budget. During a plenary session in Strasbourg on Wednesday, Barroso warned that he EU's executive is running out of money and might not be able to pays its bills as from mid-November. According to the Commission, the current shortfall is due to unexpected low income from European imports duties. Eradicate extreme poverty, achieve universal primary education and combat HIV. These are only a few of the proposals made by the UN in 2000 to free people from multiple deprivations. This pledge turned into the eight Millennium Development Goals. 13 years later, as Europe lives on of the worst crisis in decades, economic and fiscal pressure will see many member states missing their targets in fighting poverty reduction. Europe fears that foreign aid will be among the first casualties of long-term austerity measures. 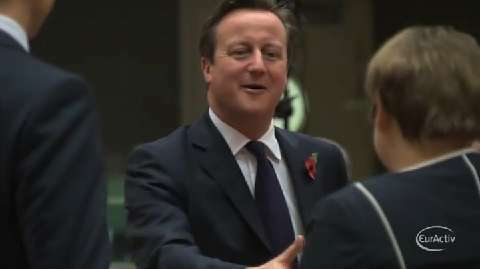 MEP's on Wednesday rejected the next long-term EU budget deal agreed by European leaders earlier in February. Adopted by an outstanding majority, the resolution will give European Parliament's President Martin Schulz enough room to negotiate and obtain concessions from EU leaders. "The Parliament wants to be taken as a serious partner. 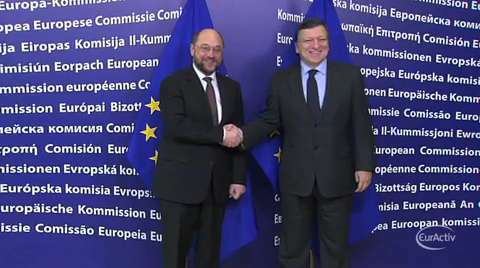 We are prepared to negotiate; this is an offer now, from the EP to the Council, to come to compromises and to improve the Multiannual Financial Framework (MFF)', said European Parliament's president Martin Schulz. EU leaders are meeting in Brussels for a two-day summit (7-8 February) to forge a deal on the Union's 2014-2020 budget. Diplomats point out that it is “now or never” for heads of state and government to agree ahead of multiple elections in 2013. This is traditional Baltic music. The singers are farmers from from Latvia, Lithuania and Estonia As European leaders gather on Thursday to discuss the next long-term EU budget, Baltic farmers travelled to Brussels to protest against what they believe is an unfair treatment from the EU. The agricultural funding they get currently is much less than the EU average. Only two days before EU leaders will hold talks on the next 7-year EU budget, MEPs on Tuesday threatened to veto the eventual agreement if further cuts are made. Some member states, like the UK, the Netherlands and Sweden, have expressed their wish to slash the budget by an additional 30 billion euros. 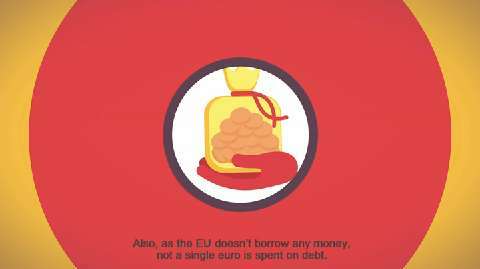 They argue that EU expenditure should be in line with national austerity policies. "Today's proposal is actually an act of political resignation, and we are going to reject it", EPP leader Joseph Daul said. EU officials went on strike on Tuesday to protest against potential cuts in their salaries and pensions. The protest came only two days before European leaders are due to meet in Brussels to agree on the next 7-year EU budget. 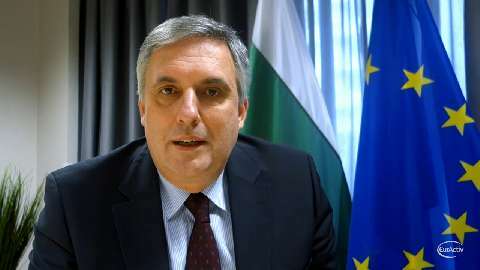 'We are here because at the end of the week, the Council will decide the budget for the European Union and we are afraid that some cuts will really put in danger the capacity of the European Union to stand for the principle, for the citizens and for its policies', chairman of the Center Staff Committee Cristian Sebastiani said.